You are here: Home » Apple reinvents advertising? Today is a momentum day in the history of advertising. 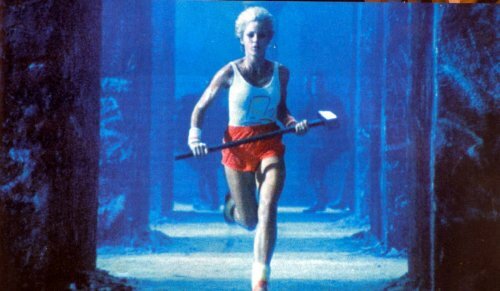 It’s the day that the world saw, for the second time*, Apple’s classic, “big brother”, Superbowl ad. It was a different time on this day 30 years ago when that hit the screen during that game of American football. Computers were slow and not that easy to use. That was changed for some with the release of the apple mackintosh. I can’t live without my other apple product that I actually paid for, the Power PC I was given as the owner was upgrading, is the classic ipod. All 160gb of it. A far cry from my original with a minuscule, by today’s standards, 20gb. It has served me well over the years and generations. Little has changed compared to other product lines. Twenty years later the ad was updated to show the protagonist listening to their new product, the ipod.